My team and I are ready to resume responsibility for the managment of your property to make sure it maintains its excellent appearance and functioning. Vilalaia is well a established property management and rental company based in the western Algarve, in Lagos, so if you have a property in the area (Aljezur, Monchique, Sagres, Salema, Lagos, Carvoeiro) and you wish to rent and/or have zour property looked after, then look no further. More than 15 years experience in the field of holiday apartment and villa rentals as well as property management has placed VILALAIA in a prime position to offer a comprehensive and individually tailored management service, including holiday home management, maintenance, rentals, assistance and support with buying a property. The VILALAIA team are multilingual and can be contacted by phone, post, e-mail, our website or in person. 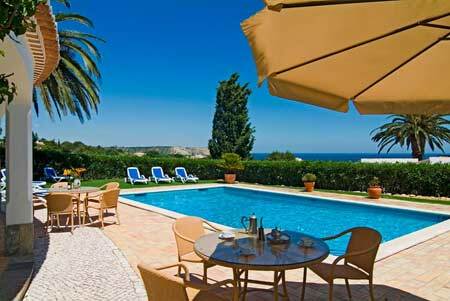 We at Vilalaia protect your investment and make sure holidays in your Algarve property is hasslefree and enjoyable. We are here when you are not. We are here when you are most of the time, not. It provides us with the advantage of knowing and understanding Portugal and its customs. We are more than well equipped to service your property interests. To make sure you enjoy owning a property is our responsibility. We then make an appointment for a personal (and non-binding) conversation or email you our offer. Nowadays there are a wealth of holiday booking portals and global companies where you can place a holiday property for holiday rental, but there are only a few specialising in the quality of their personal service to the home owner. Global corporations and platforms offer millions of holiday homes without any real customer service: to put it simply, you pay and still have to do the work based on their conditions. Their size also increases security risks, with identity theft and credit card fraud becoming an ever increasing problem. Large, distant shareholder companies do not have your best interests at heart. We do because we are local, dedicated to your interest interest to get best rental results through our large base of clients who apppreciate our customer friendly approach. Vilalaia takes the care of your property seriously. We take the worry away from holiday letting and do all the work for you, saving you money and time! - Through focused Internet marketing we are successful in reaching exactly the target group that are planning their holidays in Portugal. As a multi-lingual team, we speak your language and are always personally available for you. Your holiday property and its web presence is run by us according to your wishes and presented on our website. You are saved the time-consuming process of creating and uploading to a rental platform; you will get a prompt response to inquiries and rest in the knowledge that expert advice will be given to the guests. Personal data will not be published or forwarded to third parties; bookings are handled by our reliable team and credit card payments are accepted with no additional fees to you.